Colloidal silver has been a favorite remedy amongst naturally-minded mamas for years, but is it safe? Below, contributor Danielle tells us about colloidal silver benefits you can harness for your family’s health when the need arises. Very simply, colloidal silver is very small nanoparticles of silver suspended in water. Believe it or not, silver was the most popularly used antibiotic during the first forty years of the twentieth century. Practitioners would mix the silver in their offices and give orally or inject into the skin, but the mixture would only last for 15 minutes as the silver particles would not stay suspended for long with the technology of the time. Though silver was effective, the difficult conditions to mix and keep it led doctors to begin using sulfur drugs and antibiotics. But bacteria can create a resistance to antibiotics, and most bacteria cannot create a resistance to silver unless the bacteria have a very thick cell wall. A recurring infection may not be able to be treated and may become more severe, even endangering life. Alternative natural options to antibiotics should be considered whenever possible to avoid a potentially life-threatening result of antibiotic overuse. You’ve surely heard the buzz that silver should never be ingested and is not safe, or seen the blue man who consumed too much silver. 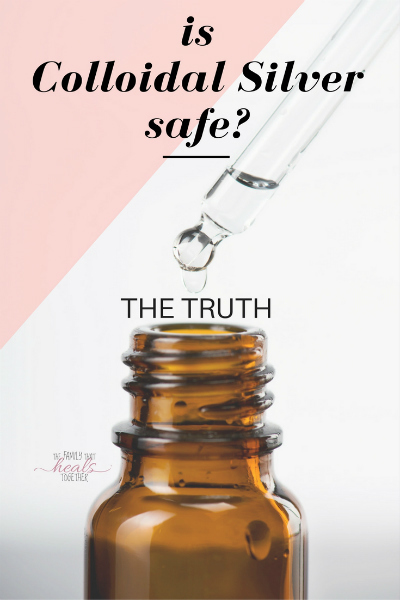 The truth is that colloidal silver is perfectly safe. Like anything, if you take too much it isn’t good for you. If all you eat is oranges, you will be out of balance. So, take silver at the appropriate time and dosage, and you’ll find it is completely safe to use. How does colloidal silver work with the body? Within minutes, the bacteria, fungus, or virus is suffocated, dies, and is removed from the body through the normal detoxification process (so be sure you are drinking plenty of water and eating a diet that facilitates detoxification). 2- by destroying the oxygen metabolism process on the cell’s membranes. This is called catalytic oxidation, which helps block the life-preserving cellular process known as cellular respiration, essentially killing the pathogenic cells. 3- by binding to the cell’s DNA. Colloidal silver can prevent the cell’s DNA from unwinding in a process that causes cellular replication. So, it both kills the cell and stops it from replicating. A note of caution here. If your detoxification process is not intact, such as the case with those with an MTHFR mutation, be careful using any supplement, including colloidal silver, as your body may not be able to remove toxins from the body quickly enough. Limit use or lower dosage and closely monitor your symptoms when using colloidal silver if you have an issue detoxifying because of a mutation or abnormally high toxin buildup. 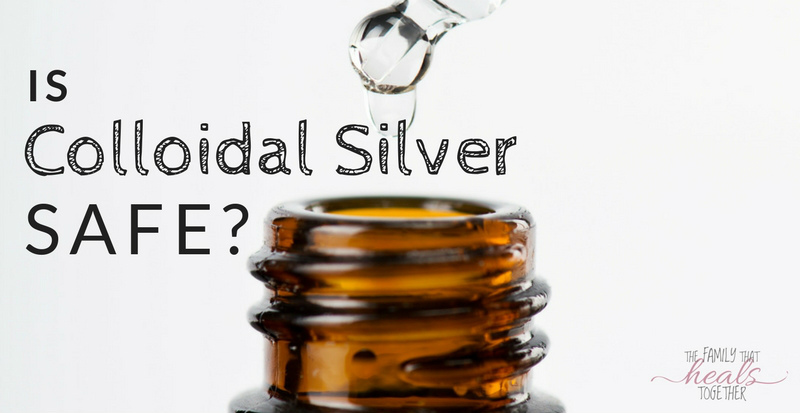 How much colloidal silver should you take? When you start to look for a colloidal silver supplement, you will see the measurement “ppm,” which stands for parts per million. One ppm is measured as one milligram of silver put into one liter of water. Many think that more ppm denotes a higher strength, but this is not so. One pathogen is killed by one particle of silver. By increasing the amount of water which the silver particle is placed, more silver particles are formed and thus, more pathogen-fighting power. Though there are a number of colloidal silver manufacturers out there, we only recommend a couple quality brands. Sovereign Silver by Natural Immunogenics is batch-tested and highly controlled, and has a long history of being a high-quality silver for some time. Results RNA Extra Strength Silver is good for those looking for total body immune assistance, especially those with chronic conditions like Lyme disease. So, how much can you take? This does depend on the ppm. The formula by the Silver Safety Council to determine how much you can consume safely daily is: your body weight multiplied by 12 divided by the ppm of silver. This tells you how many drops you can take safely per day during illness. Check the manufacturer’s dosage recommendations for children. Topically, you can use 1-2 drops on the eyes or sinuses, and 2-4 drops on the skin (for a wound). As always, everything in moderation. Monitor your symptoms when taking a new supplement to see its effect on you. Stop taking immediately if you notice any serious ill effects, but you may naturally see some minor detoxification symptoms (frequent urinating, loose stools, or thirst) because of the detoxification process associated with colloidal silver. Have you tried colloidal silver? If not, be sure to give it a try instead of antibiotics the next time an infection makes the rounds in your home. New users of colloidal silver? Don’t worry about turning blue skinned. I’ve been using colloidal silver for over 25 years and I’m still not blue. And it certainly works. When ever I get an infection, silver takes care of the problem. You can test it. Play with your cat, get both arms and hands scratched, then only spray on one arm, three times per day, and watch. You’ll believe your own eyes, right? It works great orally, too, but you have to take much much more than dosage labels claim. Depending on what you have, you may need to drink up to 32 ounces per day, in divided doses. Always start very low dose. I like Advanced Silver Company best, but whatever brand you get, make sure its 10ppm. More ppm is less, much less. Not what you’d normally think, but fact. My dog has terrible allergies and skin yeast infections. Can I use this on her? It’s worth a try! I’ve definitely heard of people using CS for pets. It would also be a good idea to make sure you’re feeding her real/raw food if you’re not already, as conventional dog food is filled with junk!